George Plimpton: The man who played QB for the Lions, created Sidd Finch, and interviewed Hemingway. Playing QB for the Lions, creating Sidd Finch, and interviewing Hemingway. 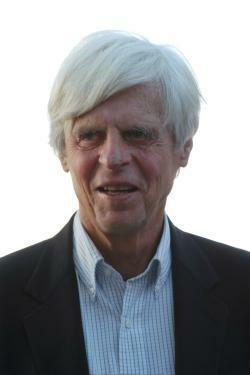 Writer George Plimpton in 2003, before his death. An oral history of the oral history master. A classic piece of participatory journalism, a genre Plimpton basically invented, on his very brief tenure as quarterback of the Detroit Lions. An interview years in the making. “Hemingway: You go to the races? “It worried me. I had ulterior motives (besides the chance to see The Game) in taking Medora to Cambridge. My vague hope was that she would become impressed enough with Harvard to think about working hard at her studies so she might go there one day. I knew it wasn’t important where she went as long as she approved of the choice herself. But I hoped it wasn’t going to be Yale. After all, it would be one thing to sit in the stands and root for her as she performed for the Smith College field hockey team, or the Rutgers gymnastic squad, or whatever, but to think of her across the football field joyfully waving a blue pennant and yelling ‘Bowwow-wow!’ with the Yale team poised on the Harvard goal line, while I raise a feeble ‘Hold ‘em!’ across the way, is a possibility too intolerable to consider. Plimpton’s son on his dad’s signature style. “Capote: The difficulty was to choose a promising subject. If you intend to spend three or four or five years with a book, as I planned to do, then you want to be reasonably certain that the material not soon ‘date.’ The content of much journalism so swiftly does, which is another of the medium’s deterrents. A number of ideas occurred, but one after the other, and for one reason or another, each was eventually discarded, often after I’d done considerable preliminary work. Then one morning in November, 1959, while flicking through The New York Times, I encountered on a deep-inside page, this headline: Wealthy Farmer, 3 of Family Slain. Plimpton indulges an interest in how he and his fellow writers, including his friend Norman Mailer, would write their own deaths. Correction, Sept. 21, 2013: This piece originally dated “Looking for Hemingway” as being published in 1960. It was published in 1963.